In Sin City, you will not find any better transportation options than a limousine People will be sure to notice you as you roll up to the nightclubs, casinos, and best restaurants in a limo. Hourly, daily or strip tour. From Sweet 16’s to bachelorette parties, girls are treating like royalty in as many events as they can squeeze out. Being the royalty they are, there is really only one way that a gal should be traveling during one of their many special occasions – in the comfort of a limousine. Now if you’ve ever been down the Vegas Strip, chances are you’ve seen a crew of ladies screaming from one of the many windows of a stretch limousine. Though your initial reaction may be that you’re happy they’re having a good time, you may want to be asking yourself why they’re traveling in the midst of a boring old black limousine when they could be riding in style in the super-girly pink Hummer limousine. Make no mistake about it – the “pink” in the title isn’t a euphemism for anything. 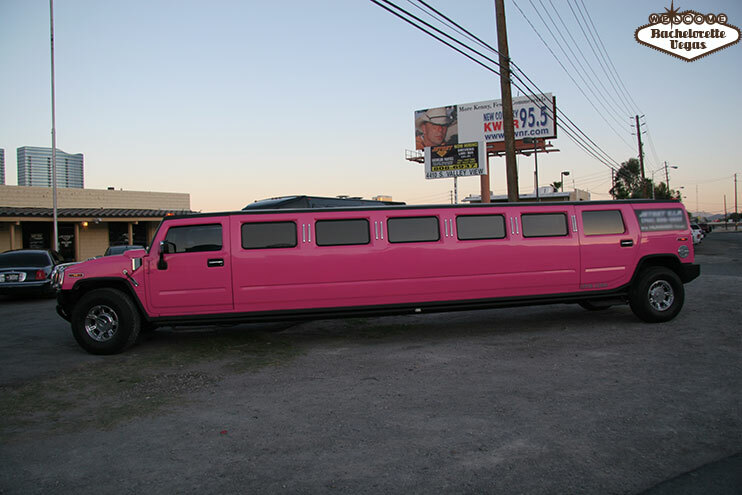 This limousine is decorated from the inside out in a variety of hot and soft pink palettes. Though the Hummer’s initial use was to protect military personnel, it has since been transformed into a stretched out vehicle of femininity. At first glance, this limousine may look like a simple garden variety stretch limo in a pink shell – but once you get inside, you realize that this beast was custom built with just the ladies in mind. Matching the coloring of the vehicles paintjob, rows of plush bench seating create the perfect social atmosphere for those lucky enough to ride inside. The interior is designed in such a way that it looks to have been designed by visionary genius, Tim Burton. The curvy style of the bench seating is complimented by the psychedelic designs that adorn the ceiling and back of the vehicle. Neon lighting illuminates the Hummer’s floor and mini-bar and creates a soft pink glow, turning the limousine into a mobile club. The different in brightness between the soft and hot pink interiors is almost shocking. While the soft pink color gives off the allure of a group of innocent teenagers going to a Sweet 16 party, the hot pink instantly pops the cork and creates a completely uninhibited party atmosphere. If you can retain your eyesight after witnessing the bright allure of the hot pink interior, than you were made to ride in it. Both variations come equipped with an on-board mini-bar and can fit up to twenty of your favorite girls. 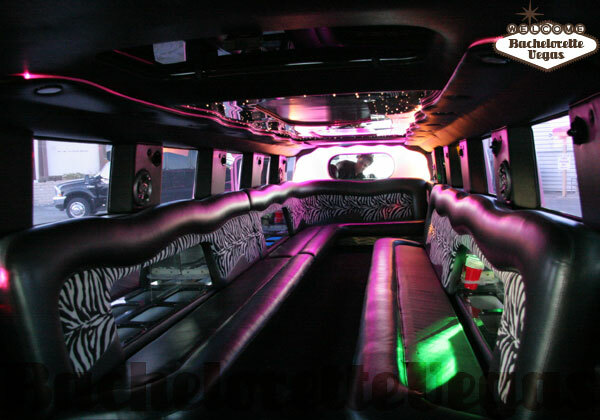 If you’ve got a long drive ahead of you (or have a certain DVD you want to play to start the night off right), the pink Hummer limousine comes with a surround sound stereo system hooked directly up to a DVD player and flat screen television. An attached iPod doc ensures that you’ll only be listening to the music you like. 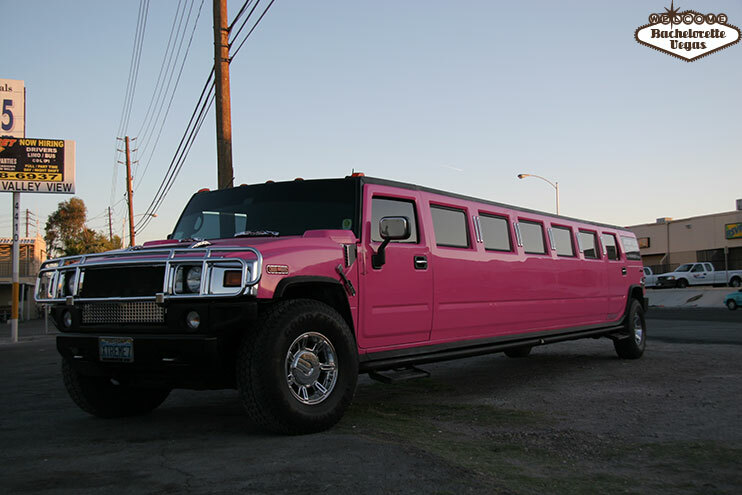 The pink Hummer limousine is the perfect compliment to any girl’s night out and should be a no brainer when deciding how to get around town. 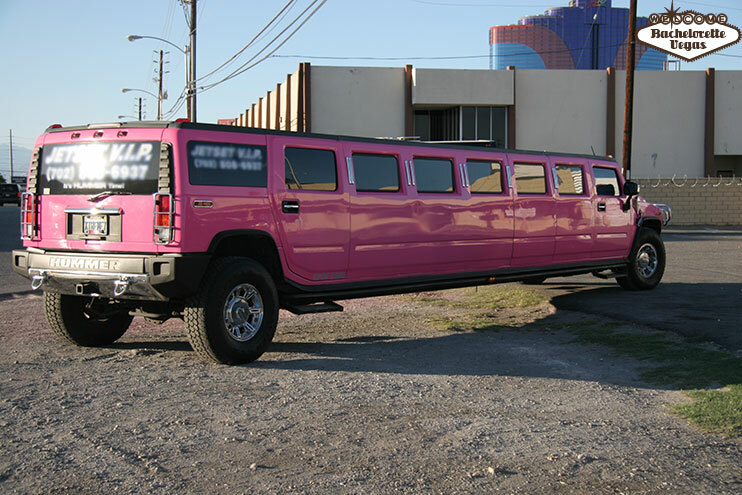 Whether you’re planning your daughters Sweet 16 or you and your group of girls is looking for the perfect ride to your high school prom, the pink Hummer limo is the perfect choice for any, and all, girl-centric occasions.